The House Drama competition is always eagerly anticipated. Pupils across year groups 7 to 13 come together to get involved both on stage and behind the scenes, often having little or no acting experience, and sometimes discovering new talents! 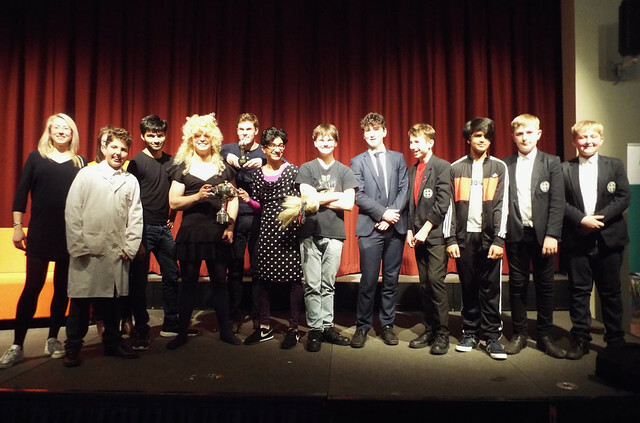 Mrs Watson, Bemrose House Master, began the evening by reminding the audience of how old the Friends series actually is. It is 25 years since it first aired and 15 years ago since the last episode was shown. Despite it being older than most of the school’s pupils it was recently voted one of the most popular TV shows in the UK for young people. I played Phoebe, which I had to do with an Australian accent as I couldn’t master an American one. Phoebe’s a bit weird, and so am I, so I enjoyed playing her!